Members of the Oregon National Guard were in Hillsboro last weekend to say goodbye to an old friend. The Hillsboro Oregon National Guard Armory is closing this week, its soldiers moving to space in Clackamas as crews continue construction work on a new events center at the Washington County Fair Complex, which owns the land the armory stands on. The armory, 848 N.E. 28th Ave., has stood in Hillsboro since 1954 and is one of the oldest active armories in the state. The building is badly in need of repairs and is no longer able to adequately house the soldiers stationed there, according to the Oregon Military Department. "It's undersized and encroached," said Roy Swafford, director of installations with the Oregon Military Department. "It's a small property for an armory." Instead, the Oregon Military Department plans to build a new readiness center — a larger, more modern version of the traditional armory — on nearby property in the next few years. Construction of that building isn't expected to begin until 2023, and could take as long as a year-and-a-half to build, Swafford said. Hillsboro is home to the Oregon Army National Guard's D Company, 2nd Battalion, 162nd Infantry Regiment, 41st Infantry Brigade Combat Team, about 80 citizen-soldiers who train and serve at the Hillsboro facility. 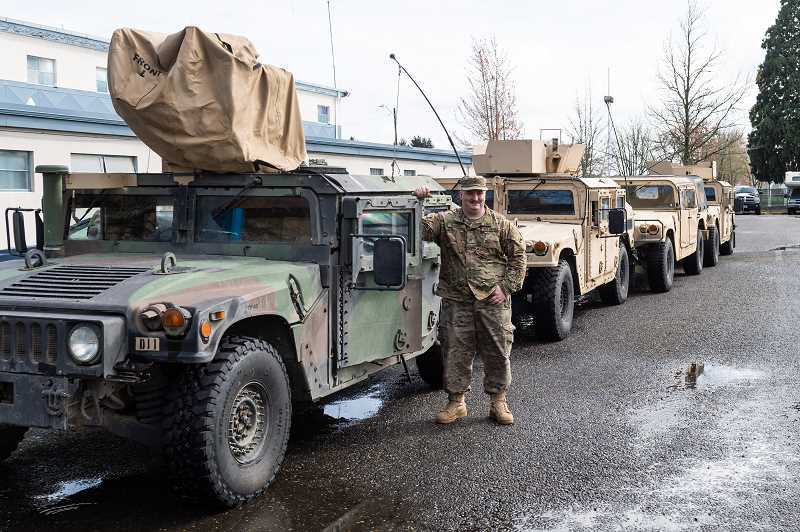 Guardsmen stationed in Hillsboro will be stationed in the 41st Infantry Division Armed Forces Readiness Center in Clackamas, along with trucks and other military equipment. The Washington County Fair Complex owns the property the armory stands on — which the two parties agreed to in a land swap years ago, Swafford said. In exchange, the Oregon Military Department purchased eight acres of land on the south side of the fairgrounds to build a new readiness center. Swafford said closing down the armory for a few years will allow construction work on the Washington County Fair Complex to continue unabated. Crews are currently working on a new community events center at the fairgrounds, which is expected to open next spring. "Frankly, we're in their way," Swafford said. Plans for the new armory have been in the works for years. In 2017, Oregon lawmakers approved $1.73 million to purchase property in Hillsboro and Redmond for new armories. On Saturday, April 6, members of the National Guard and local businesses who have supported the armory met for a farewell celebration at the armory. Once emptied, Washington County will take ownership of the building. According to county spokeswoman Julie McCloud, plans call for the building to become a support facility for the Fair Complex. "The (Veterans of Foreign Wars and many other organizations have participated in our family readiness events over the years," said Lt. Col. Kyle Akers, commander of the 2-162nd Infantry Battalion. "We wanted to say thank you and maintain that connection." The new Hillsboro readiness center hasn't been designed yet, but Akers said it will have upgraded technology and infrastructure for service members. "Having a nicer newer facility shows we care about a soldier's career in the Guard," Akers said. "Having that new car smell shows we support the Guard, and all that stuff comes with a newer building." As Hillsboro continues to grow, Akers said, the armory should grow with it. "We've seen it here with Intel and Nike and Top Golf and these other business. Hillsboro is growing and vibrant," Akers said. "It's nice to have a newer, more vibrant armory that reflects how nice Washington County is." The armories are used by the National Guard for training, and are open to the public to rent out for events. Soldiers from the Hillsboro armory have been sent all over the world to support federal and state missions, Akers said. Hillsboro soldiers have helped put out forest fires, and offered aid after Hurricane Katrina. 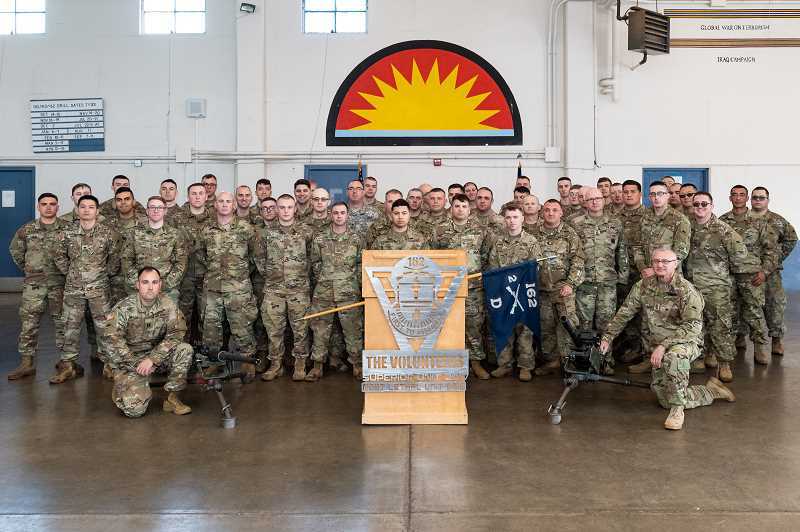 Soldiers from the Hillsboro armory were deployed to Iraq in 2009 and Afghanistan in 2014. The unit is expected to deploy to Kosovo in 2020 for a year deployment. Akers grew up in Hillsboro. He said armories are a symbol for their community. "We're a consistent partner in this community," he said. "If a natural disaster strikes, there is a facility and personnel who are trained to serve hand-in-hand with our civilian counterparts." Akers, son for former Hillsboro School Board member Monte Akers, joined the National Guard in 2002, following the Sept. 11 terrorist attacks. He oversees National Guard units in Hillsboro, Gresham, Corvallis and Springfield. Akers said it's important for Hillsboro to retain an armory because of the impact it can have with local residents. "Whether it's disaster preparedness or emergency preparedness, we're here. And we're also a link to the veterans community throughout Hillsboro," he said. "We don't have an active duty base in Oregon, so we're one link to local veteran's communities. And we're an option for people locally that want to serve, but don't want to leave a great place like Washington County. They can still serve locally and go to local schools but also have career they build in the military." National Guard recruiters normally stationed at the armory will be moved to a new facility in Hillsboro, Akers said. While the National Guard won't physically be located in Hillsboro for the next few years, Akers said its soldiers will remain engaged with the local community. "If there's an event that the Guard needs to be present at, we're an email away and we'll make our way west," he said. "We want to stay involved in high school events and community events that celebrate military service and the veteran community. Anything that improves Hillsboro and Washington County." Editor's Note: This story incorrectly stated the plans for the current armory building. The building will revert back to Washington County ownership. The building will be used as part of the Fair Complex.